Join us for an intensive day of workshops with OHMA faculty and alumni! Register now as these usually sell out fast! Registration: $30 - 100 per half-day workshop, sliding scale. Full day video workshop sliding scale from $100-$200. Register here! 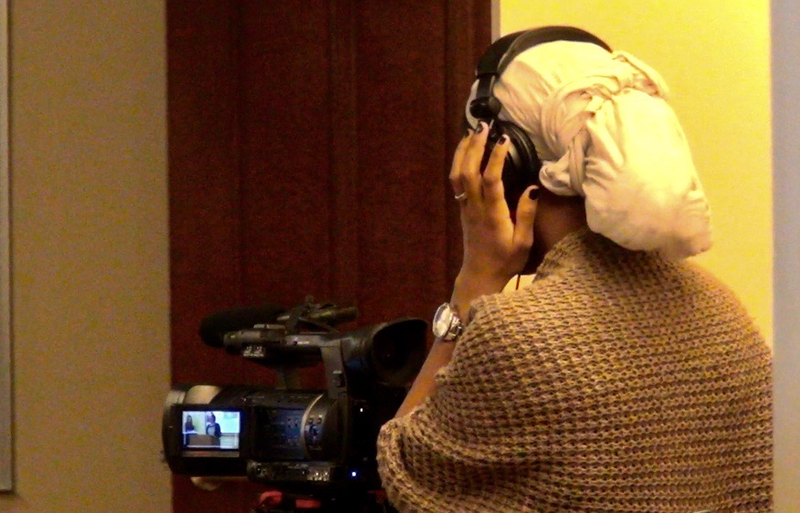 This intensive day-long workshop is designed to give participants a jumpstart into using video production for visual storytelling and oral history projects. This workshop will review camera basics; practice using camera techniques, controls and optics; explore composition, form and basic color theory; incorporate theories of cinematic language to emphasize mood and perception; and cover basic lighting techniques for the interview in a hands-on practical experience that will strengthen participants’ camera, cinematography and storytelling skills. Oscar Frasser is a professional image-maker and storyteller with a focus on human rights and Latin American issues. With over 20 years of experience as a filmmaker, cinematographer and photographer, Oscar has worked extensively in the areas of documentary filmmaking, photojournalism, media education and advertising. Oscar has been a business owner of a bi-lingual advertising agency in New York City; lectured and taught in several universities in New York and abroad including Columbia University, NYU, The New School, and the Jose Marti International Institute of Journalism in Cuba. Oscar teaches as an Adjunct Professor of Filmmaking­ at The New School and works in video and photography for the Associated Press at the United Nations and a variety of Latin American publications. He holds an MA in Media Studies and Documentary from The New School and a BFA in Photography from Rochester Institute of Technology. Oscar teaches video production for OHMA. In this workshop you'll learn the fundamentals of digital audio editing using Hindenberg, a popular software used by many radio and podcast producers. If you've never edited audio before, this is a great program to learn on because it's stripped down to the essentials and highly intuitive. By the end of the session you will be able to read a waveform, make cuts, rearrange content, add music, and create an mp3 file to share. Everyone is welcome -- from true beginners to those with previous editing experience. The workshop doesn't teach aesthetics, but focuses on the mechanics of editing and provides a proven workflow for managing hours of tape. Whether you want to launch a podcast or just share a moment from an interview via email, this workshop will give you the skills to get started. NOTE: You'll need a laptop and headphones for this workshop. Workshop attendees should purchase and install Hindenburg or download a trial version prior to the session. Michael Garofalo started his career at StoryCorps, where he spent nearly 15 years producing and editing a weekly series on NPR, launching and hosting the StoryCorps podcast, and earning 2 Peabody Awards and a Columbia-DuPont Award along the way. In 2018, he went independent and is currently developing a show about human/animal relationships, as well as serving as the first ever Editorial Audio Fellow at Kickstarter, helping to launch and produce season one of Just The Beginning. He's also an experimental musician incorporating field recordings, found sounds, and narrative into his composition. He teaches audio editing to OHMA students. In this workshop we will explore useful concepts in oral history that help to bring us closer to our narrators, and to determine, where appropriate the differences that exist between us and how to work with those differences in the interview. We will attempt to define the relationship between the core concepts in oral history: intersectionality and intersubjectivity (the dialogue between the interviewer and the narrator). We will demonstrate models of intersectional interviewing where identities either create intersectional distance or open dialogues of shared experience. We encourage participants to send us examples of how these issues come up in their own work. Alissa Rae Funderburk is Deputy Director and a lead interviewer for the CU Life Histories Project, an oral history project with the aim of building a lasting university wide program to utilize life history interviews in tackling issues of disavowal and inequity on campus. Alissa Rae graduated from Columbia in 2012 with a bachelor’s degree in anthropology as a John W. Kluge Scholar. Her interests included the studies of race, culture and religion, particularly those of the diaspora. In 2013, Alissa Rae began working with Hope Church NYC as the director of kids programming and as an assistant at York Prep School. She is in her last semester of OHMA, creating a thesis about the religious and spiritual experiences of black men in New York City. 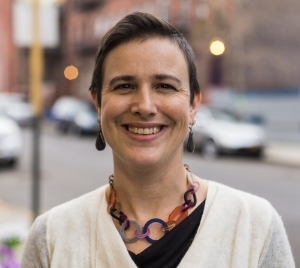 Amy Starecheski is a cultural anthropologist and oral historian whose research focuses on the use of oral history in social movements and the politics of history, value, and property in cities. She is the Director of the Oral History MA Program at Columbia University. She consults and lectures widely on oral history education and methods, and is co-author of the Telling Lives Oral History Curriculum Guide. 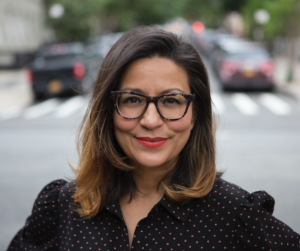 She was a lead interviewer on Columbia’s September 11, 2001 Narrative and Memory Project, for which she interviewed Afghans, Muslims, Sikhs, activists, low-income people, and people who lost work. Starecheski was a member of the Core Working Group for Groundswell: Oral History for Social Change from 2011-2018, where she facilitated the Practitioner Support Network. In 2015 she won the Oral History Association’s article award for “Squatting History: The Power of Oral History as a History-Making Practice” and in 2016 she was awarded the Sapiens-Allegra “Will the Next Margaret Mead Please Stand Up?” prize for public anthropological writing. She received a PhD in cultural anthropology from the CUNY Graduate Center, where she was a Public Humanities Fellow. Her book, Ours to Lose: When Squatters Became Homeowners in New York City, was published in 2016 by the University of Chicago Press. She is the founder of the Mott Haven Oral History Project, which collaboratively documents, activates, and amplifies the stories of her longtime neighborhood, as told by the people who live there. In this workshop we will steep ourselves in the oral history interview form. The session will begin with an overview of oral history interviewing values and methodology. We will then consider some of the key questions we must ask of ourselves, to prepare for the questioning of our narrators. Finally, we will listen to, read and discuss interview excerpts and close the session with an opportunity to practice interviewing in the space. As oral history projects increasingly focus on oppression, conflict and crisis, our toolkits should be equipped with the practices to adequately confront ethical dilemmas, trauma, and risk. This workshop is for oral historians, activists and journalists who are interested in digging into the question of how to effectively and ethically using oral history methods for documenting difficult stories. During this workshop, we’ll explore how to be conscious of and responsive to ethical issues that are present in different stages of an oral history project — including power dynamics, accountability, political context, activist aims, and security risks. We will then focus on questions of trauma — preparing for and responding to trauma before, during and after interviews; considering interviewer wellbeing; and thinking through questions of resilience, repair and healing. We will approach all of these themes and questions through participatory activities and exploring case studies. You’re encouraged to bring to this workshop your own ideas for a future project, or if you’re working on one now, your thoughts on the process. You will leave this training with some guidelines for thinking through ethical questions and power in oral history projects, and practices for trauma-informed interviewing. Oral History is an important intervention in social science research that has resulted in a paradigm shift regarding who is a legitimate source of knowledge. Oral History research lends itself to social justice work due to the relationship between interviewer and narrator as partners in the production of knowledge. Participatory Oral History Research (POHR) is an approach to oral history that extends the collaborative nature of the relationship beyond the interview and approval of transcripts throughout every phase of the oral history research process. Combining elements of oral history, participatory action research and community organizing, POHR draws upon these three approaches to knowledge production in the service of collective liberation. Through concrete examples, a review of the theoretical foundations of POHR and hands on exercises, participants will enhance their skills in the design and development of an oral history research project from a social justice perspective. Among the topics covered will be collaboration and shared authority, beneficiaries of oral history research, structuring an oral history project, meaning, interview techniques, latent and explicit content, and power and privilege from concept to roll out. 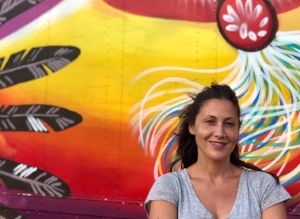 The instructor will draw upon lessons and challenges from her current project, The Picture the Homeless Oral History Project, and invites attendees to workshop aspects of their own projects during this session. Lynn Lewis is a graduate of the OHMA Program and a long time community organizer and social justice worker. She is interested in the potential for oral history research to support the work of grass roots organizations to win social justice. Her current research is an oral history of Picture the Homeless, a homeless led organization where she worked for 17 years. She is a founding board member of the E Harlem/El Barrio Community Land Trust and sat on the board of the Cooper Square Community Land Trust. Lynn works in NYC as a consultant and trainer to grass roots organizations. Nyssa Chow is a writer, new media storyteller, and educator. She is a core faculty in the Columbia University Oral History Masters Program, and the current Writer-in-Residence at Fordham University. She is the 2018 Recipient of the PEN/Jean Stein for Literary Oral History, won for the book project, Still.Life. The project also won the Columbia University Jeffrey H. Brodsky Oral History Award. 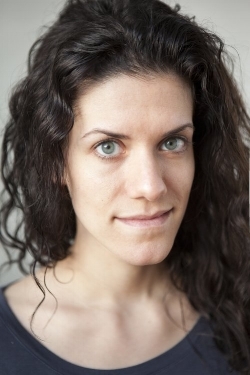 She is a graduate of the Columbia University’s MFA program, and the Columbia University Oral History Masters program. She will be a 2019-2020 Princeton Arts Fellow.